The Balanites Roxburghii or Date Palm, fights against desertification by allowing other plants to grow in amongst it’s roots, thanks to the shade it gets. It’s also a nourishing plant. Its leaves are consumed as a vegetable and the fruits are enjoyed by children. The oil extracted is very softening and nourishing. 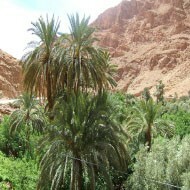 The Date Palm originated from tropical Africa. 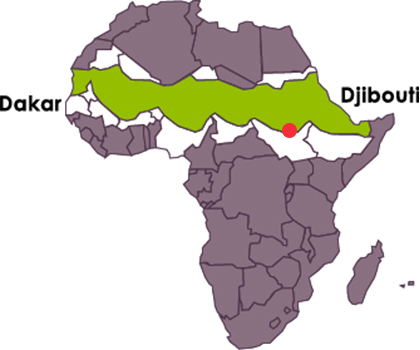 It is present in the Great Green Wall of Africa. The oil extracted from the fruit is anti-inflammatory, anti-viral and antimicrobial. In cosmetics, it is a powerful emollient which softens and repairs dry and damaged skin. It intensely nourishes the skin as well as dry hair. Its dry and penetrative feeling make it also ideal for caring for skin that is mixed and problematic skin, because it softens and protects, without making the skin overly greasy.